This is located on southeast coast of Florida. I have a macaw that is quite messy. His thrown food attracts flies and these spiders moved in. They seem to reproduce quickly, make what I consider a typical web. They don’t seem super aggressive. 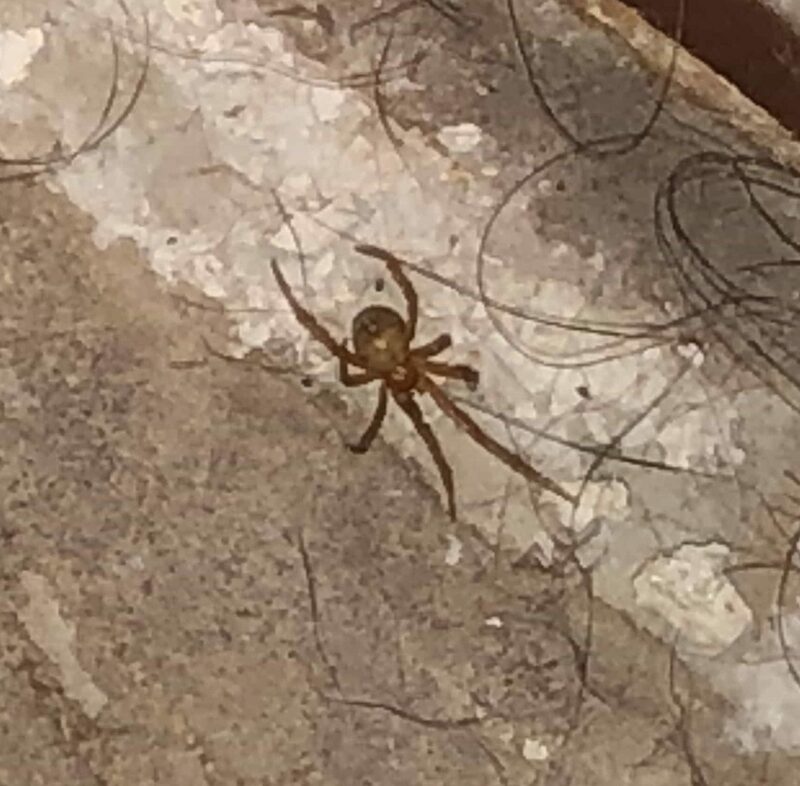 My guess is a Florida red house spider. This is one of the smaller ones and it was underneath linoleum that has separated from subfloors. Most of the others are in or near a web. The webs are in corners of the rooms. Height is variable. Color is more of a deep orange with body darker. I cannot tell if any stripes. There definitely are no hour glass markings. I would be interested to know their biting capacity and if they are known to carry any infections. Will research that once I get an opinion. Thank you!